We’ve chatted about lighthouse history in the last couple months, and in 2018 there will be more lighthouse posts specifically related to my new novel, Lighthouse Loyalty. However, today will be the final lighthouse post since we’ll move on to Civil War maritime history in this Wednesday series. So…I thought it might be good to answer questions about what has happened to lighthouses in American in the 20th and early 21st Century. It’s sort of an epilogue to the 19th Century lighthouse history. When the U.S. Lighthouse Service was established there were 11,713 aids to navigation in America. In the next twenty-five years, that number grew to 24,000, but the employee number was reduced because of the addition of electricity and beginning of automation. 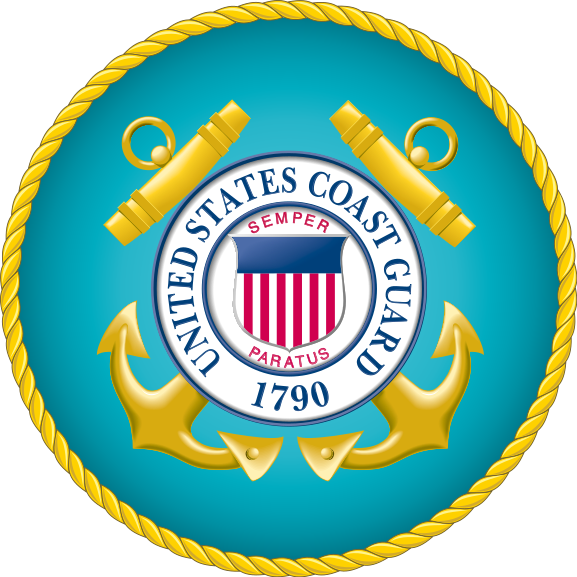 On July 1, 1939, the U.S. Lighthouse Service merged with and came under the control of the U.S. Coast Guard. From that year up to the present day, the Coast has overseen all aids to navigation still in service in the United States, including lighthouses, lightships, and lighted beacons. The advent of radio signals hastened automation. At this time, there is only one manned light station in service in the country. Boston Lighthouse. 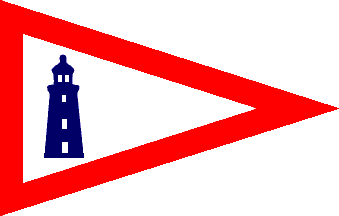 As for the other aids to navigation, the service members get notifications if something needs repair and otherwise check the lights and beacons on a schedule. Electricity. It was a blessing, but it also foretold the end of “traditional” lightkeeping. When a lighthouse got electricity, the oil lamps were replaced with light bulbs which were simply worked by a switch. This reduced some of the work load for lightkeepers, including carrying the cans of oil to the lamps and the incessant cleaning away the soot. Electricity was put at some lighthouses during the Lighthouse Service era and installed extensively by the Coast Guard. With electricity, radio signals, and other remote forms of communication, the lights were automated. Automation ended the careers and service of lighthouse keepers living at the locations. It saved a significant amount of money but was the ending of an era of lightkeeping and caused a lot of conflict with keepers and former keepers who were dedicated to their work and their lighthouse locations. 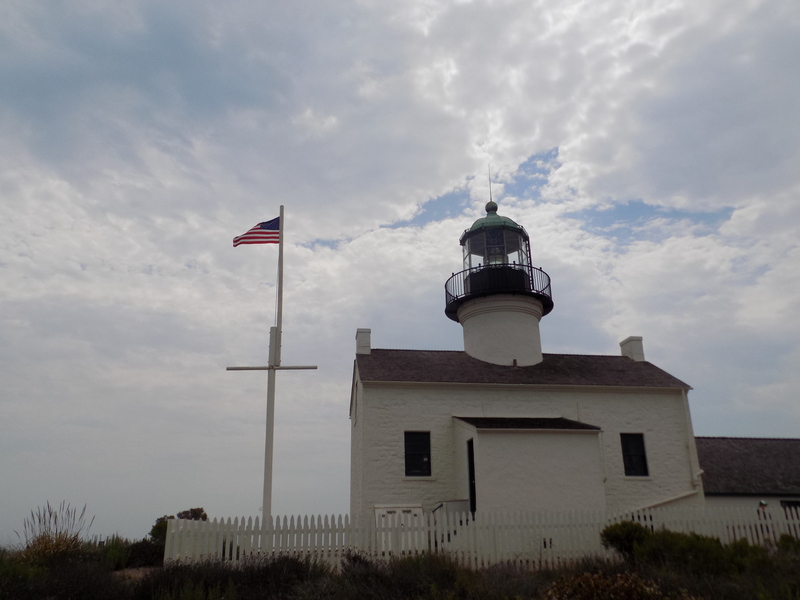 Old Point Loma Lighthouse (built in 1854) is now preserved within Cabrillo National Monument. Automation and later GPS systems reduced the need for so many large lighthouse structures along the coastline. Many lights were decommissioned and abandoned; sadly, many fell into disrepair, were destroyed by storms, or collapsed. However, other lighthouses have had a happy stories. The National Park Service, state parks, local historical societies, and lighthouse preservation groups have “rescued,” restored, and preserved a number of lighthouses along all the U.S. coasts. Some structures have been purchased, refurnished, and recreated as bed-and-breakfasts, inns, or restaurants. It’s important to remember that lighthouses need friends and preservation. Every year historic lighthouses with wonderful history are lost forever – abandoned and crumbling. If you are interested in lighthouse history, find out if there are any in your area or search for a lighthouse organization working to preserve these historic structures; you’ll be able to get involved or support the efforts to safe these important symbols of American maritime history and “monuments” to the courage of lighthouse keepers and their families. P.S. Got questions about American lighthouses? Leave me a comment and perhaps I’ll write a blog post answer for the lighthouse focus at the beginning of 2018. One “point” you have not discussed–not sure it qualifies as a point!–is the use of the lighthouse in literature. On the fly I cannot come up with any specifics, but I know I have read a lot of short stories wherein a lighthouse was a place where horrible, fictional stuff happened. Lighthouses have a spooky reputation. Any info? Ah, you know… I should talk about that and why I chose a lighthouse location but wanted to avoid all spookiness in my new book. Thanks for the suggestion. There are some interesting legends and reasons for those spooky lighthouse stories. Stay tuned for January 2018!